Click the button below to add the Pickled Garlic to your wish list. Fresh Canadian Pickled Garlic! Served Chilled. These vegetables are fresh from the farm and pickled at their height of flavour! Pickles are so good! 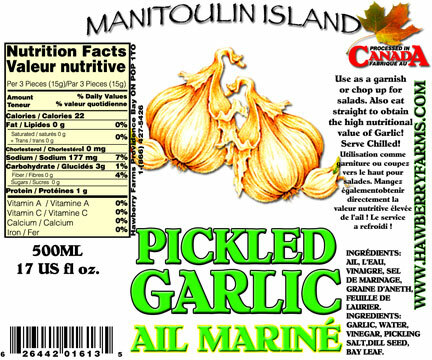 Ingredients: garlic, water, vinegar, pickling salt, dill seed, bay leaf. These pickled garlic are the best! hands Down!